Almost anyone who runs a business that at least partially sells online has heard of split testing. 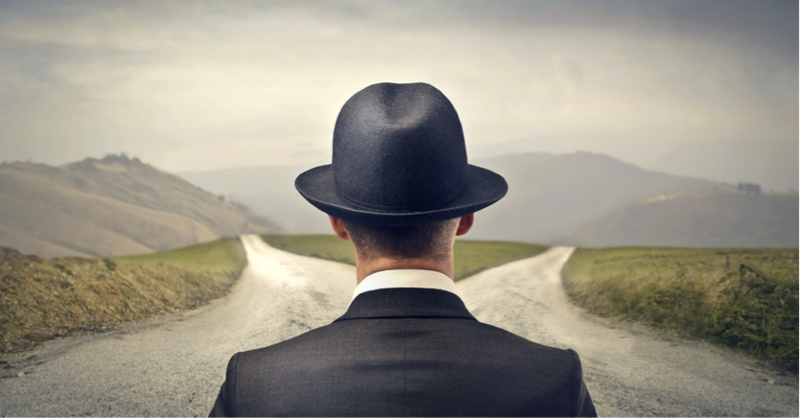 The idea is as old as entrepreneurship itself – you give your clients two options, and see which performs better. The only difference is, online business split testing is often done without the knowledge of the user. In other words, your clients aren’t aware you’re performing the test, and they don’t know which test subject they’re looking at. As owner of the website, you. Source. So now that we know what split testing is, the first obvious question is what to test. Case studies and the experience of all kinds of businesses show that pretty much anything can change your conversion rate. Ranging from font style to the language style, every aspect of your website matters. There is one golden truth that is always correct, no matter what industry you’re in or what your target market is. Calls to action need to be prominent and reachable. That “Sign up” button may very well be the only (not that it should) way you earn with your website, so make sure people see it! This is the original landing page, you can see the call to action in the top right corner. This is the new landing page, with an additional call to action in the content area. Source. They just added one small box, no big deal, right? Wrong. 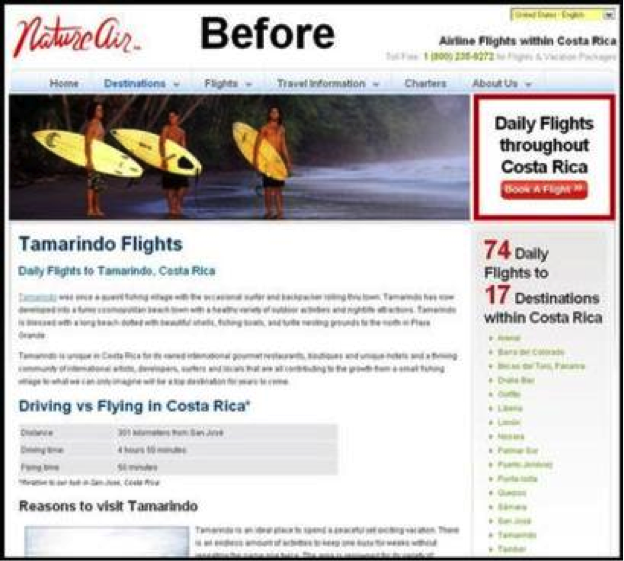 This seemingly trivial change boosted the conversion of the Nature Air website from 3% to 19%. The company saw a 591% increase in conversion rate just from something seemingly so insignificant. Still not convinced that even the smallest thing matters and is worth split testing? Performable increased their click-through rate by 21% just by changing the color of one button! In other words, your call to action is like the wedding cake. It has to be in the center of the room, and it has to be spectacular. No amount of roast beef, grapes or blue cheese can replace a proper wedding cake. The next big thing to pay attention to and perform split testing on is the imagery on your website. While the copy gives arguments and describes your offer, product images and visual graphics shape the overall feeling of your website. A picture says a thousand words, remember? The tested version with a lot less text and bigger product images. Source. This example perfectly illustrates what we mentioned earlier – people want to see what they’re buying. 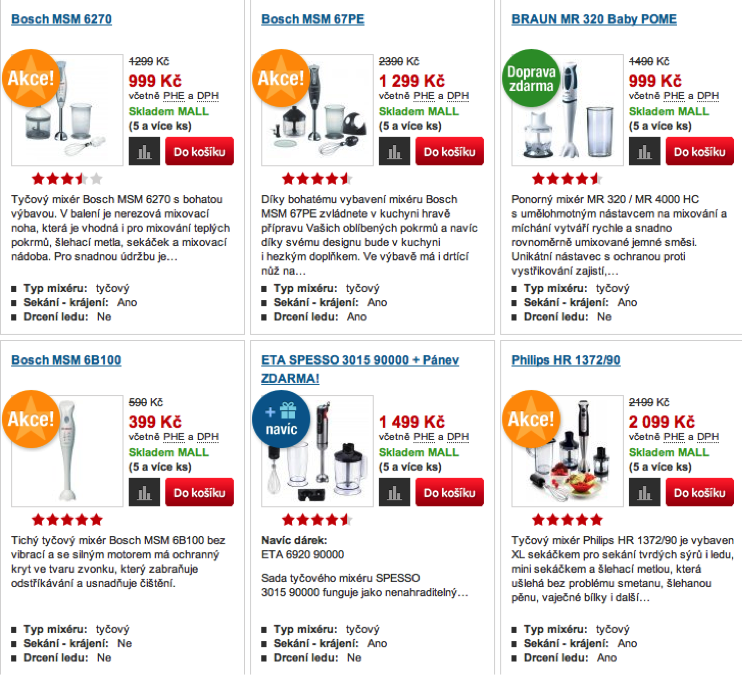 Making product images larger increased the sales of MALL.CZ by an astonishing 9%! In addition to product images, you should also pay attention to what your background images and various pictures in the copy say about your company. Even if the images are not informative in the strictest sense, they still say a lot about you. One aspect of how you create your company image with seemingly unrelated images is this example. By changing stock photos to actual photos of the company, Harrington Movers increased their lead conversion by 45%. The “real” photos are lower quality, less professional and much less aesthetic. So why the improvement? It’s all because of credibility. Stock photos look fake and staged, and your clients may actually start thinking that your whole business is fake. It’s that simple! 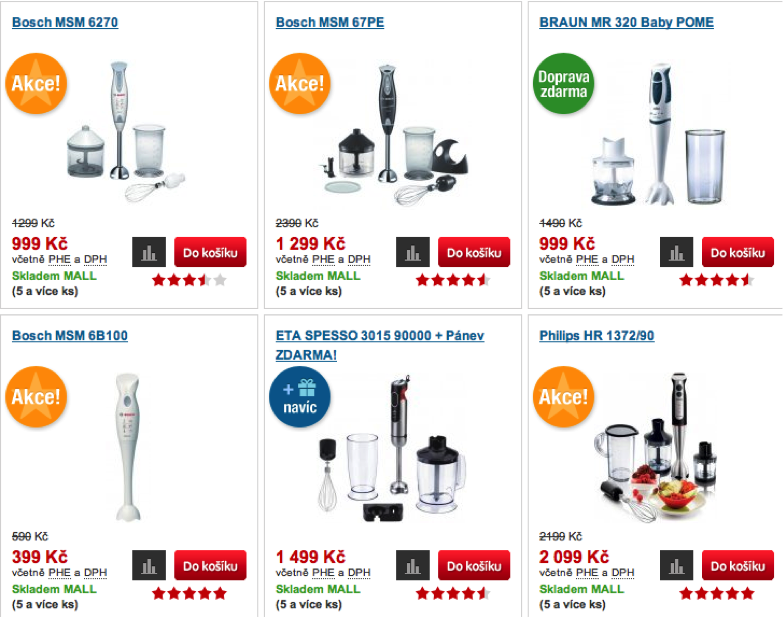 Okay, with the last two points, it was pretty simple – larger product images, no stock photos – makes sense, right? But even smaller changes can make all the difference, for instance, changing the image size. 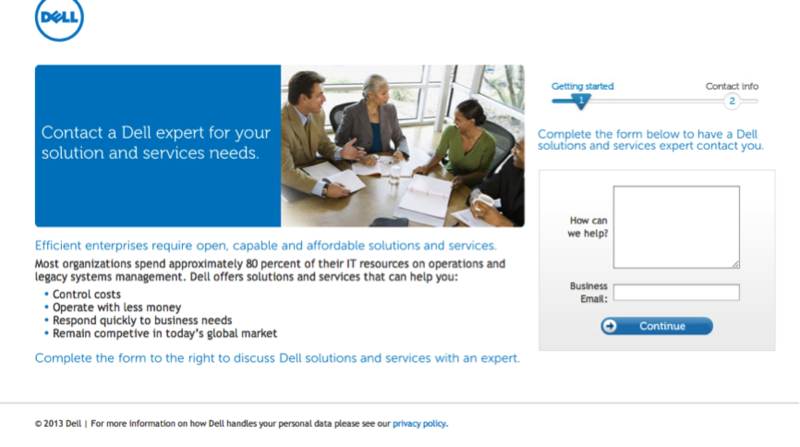 This was Dell’s initial landing page, note the image being just a part of the layout. 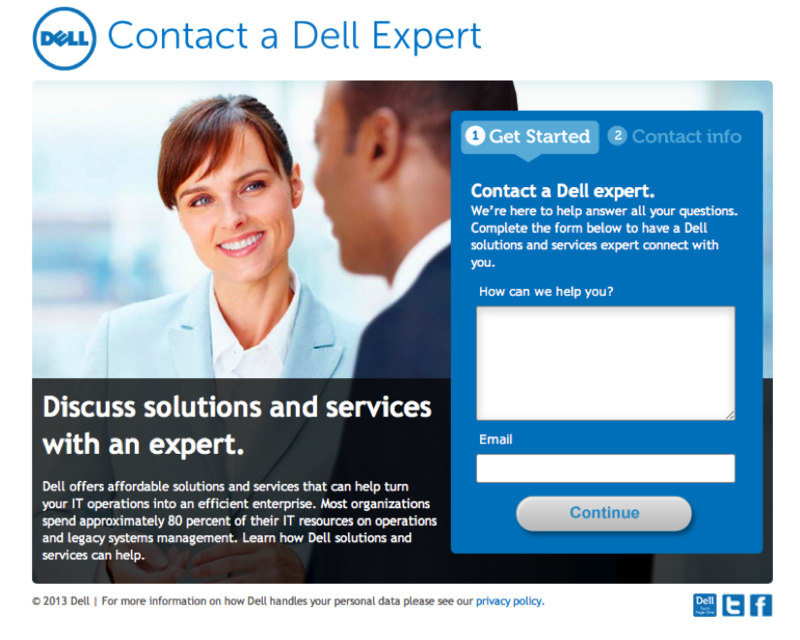 This was Dell’s test subject – a landing page where the image is not merely a part of the page, but the whole background. Source. The result? Having a larger image lowered bounce rate by 27% and increased lead generation by a whopping 36%. What produced such great results? We don’t know. That’s why split testing is so awesome – you can just explore various options and see what works best. You don’t actually have to know why one version works better than the other – as long as it works. Images and calls to action work on your visitors’ subconscious. More attractive design, more enticing buttons and more appealing images can reduce the bounce rate and are very well worth testing. But at one point you will notice that tweaking images and buttons doesn’t do very much anymore. That’s when you should start split testing small changes in the copy. Of course, your website should already be equipped with proper copy. The purpose of split testing is to see how small changes in the text affect your conversion rate. Changing one word on the button – 38.26% more conversions. Source. The reason for the increase is probably because “Get” sounds much less complicated than “Order”. The latter sounds like you will need to fill out long forms and spend lots of your precious time. But it’s not always the case. Sometimes you can’t logically explain why one word is better than the other. Again, this is the beauty of split testing. Change the word, set up the test and see what happens! For instance, in this example the conversion rate improved by 284% just by changing the phrase “Double your sales in the next 2 weeks.” to “Double your sales in the next two weeks.” We can’t think of any valid argument why the second version is better than the first, but it is. Split testing is so cool! Split testing, unlike redesigning your website or completely rewriting the copy isn’t a massive project. Come up with a small change, set up the test and come back later for the results. In fact, there are a lot of cases when companies forget they’re performing a split test, and only remember to check the results months later. Perhaps the best website aspect to perform split tests on is your CTAs. Their size, placement, color, word choice – all of this matters, and is worth testing. The only way to be absolutely sure which version is best, is to perform a split test. 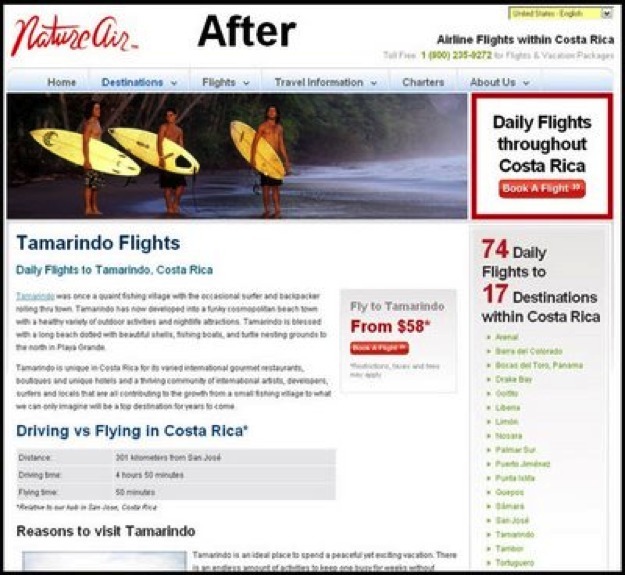 Just like with CTAs, imagery on your website can make or break conversion rates. While less direct than CTAs, the images say something about your company, and sometimes even random alignment or size changes can provide excellent results. Split test it! Last, but not least, copy is very well worth testing. We’re not talking about changing full bodies of text, but just small changes. If changing one word can increase your conversion rates by more than 200%, then it is very well worth testing! But it doesn’t end there. Split testing can be performed on pretty much anything. Don’t be shy! Split testing takes almost no effort, and it would be a waste not to try out as many options as you can. Little by little, you will be tweaking and polishing your website towards the maximum conversion rate possible!